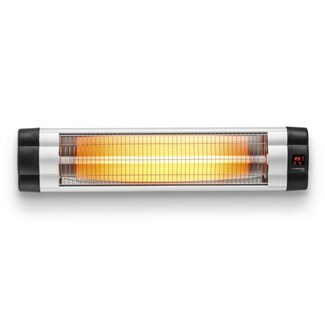 With its enormous power of 2,500 watts, the infrared heater IR 2550 S provides warmth even in coldest corners. The high-performance radiant heater as a clean and silent heat supplier also proves to be a considerable support for the gastronomy sector when it comes to the satisfaction of the guests on the outdoor terraces. 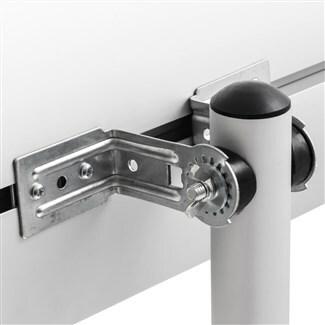 The device can be used flexibly outdoors and can be precisely and effectively adjusted as a heat source to the guest tables thanks to the 90° angle of inclination. So you can chill summer nights or sit comfortably outside even in the transitional period to autumn - even on your home terrace! 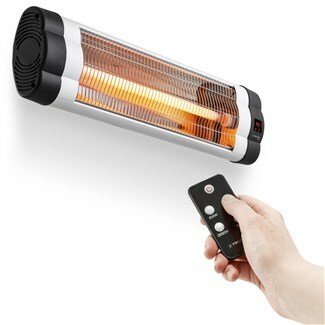 The IR remote control makes contrilling the infrared radiant heater comfortable: turn the radiator on and off, select the three heat settings, and control the 24-hour timer - all this is easy at the push of a button. 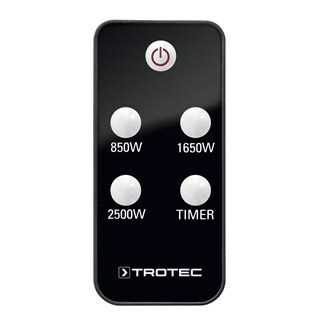 In addition to an 'off' stage, the unit has three heating stages with 850 W, 1,650 W and 2,500 W. It goes without saying that all functions can also be controlled from the control panel of the IR 2550 S. Once glance at the integrated LED display, for example, shows which heating stage is currently selected. 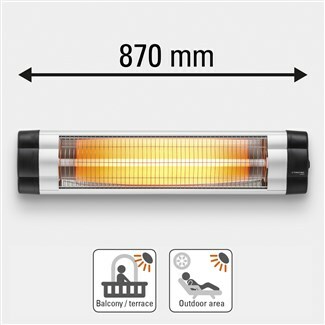 Thanks to its length of 870 mm, the infrared radiator IR 2550 S has a large area of effect and a heating capacity of 2,500 watts provides a wide heating area. 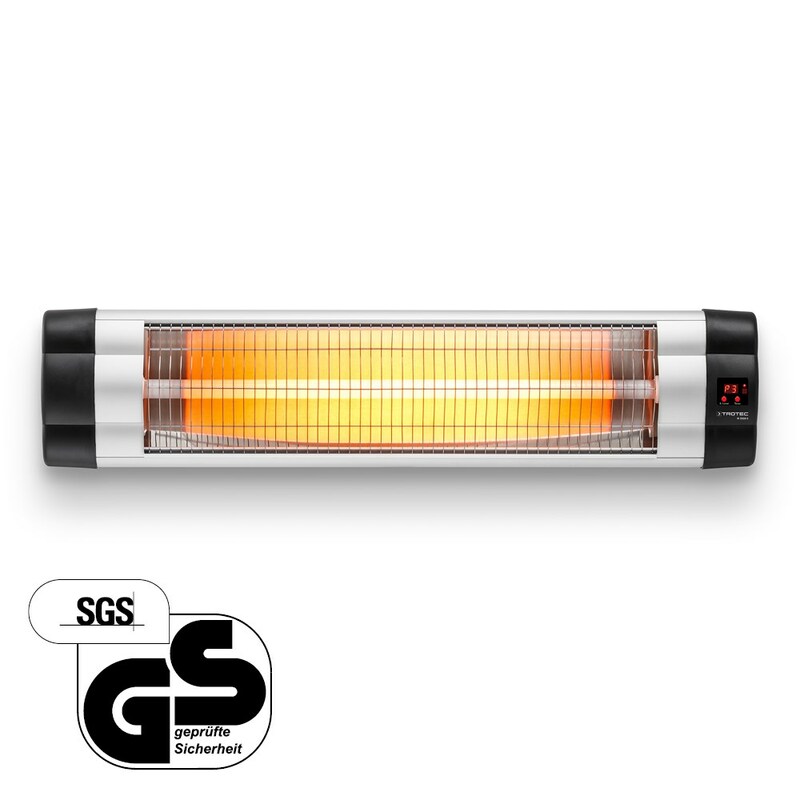 Thanks to the flexible mounting possibilities also on a telescopic stand, this infrared heater can be used as a free-standing model and can also be used temporarily for non-protected places for flexible applications. 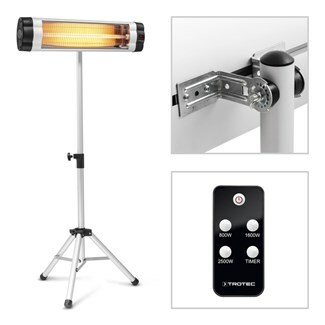 The infrared radiant heater can be quickly and easily fixed to the wall or a telescopic stand - for commissioning, the connection cable of the device is simply plugged into the nearest electrical outlet. With its compact design, the IR 2550 S is also ideal for use in larger areas, such as a party tent, street café or stall. 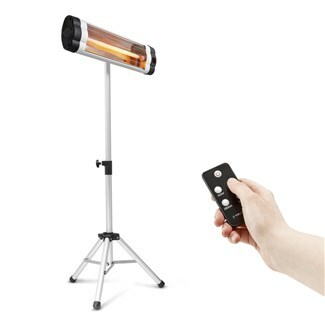 Using the remote control, the infrared heat radiator can be switched on and off comfortably when installed in places which are difficult to reach. 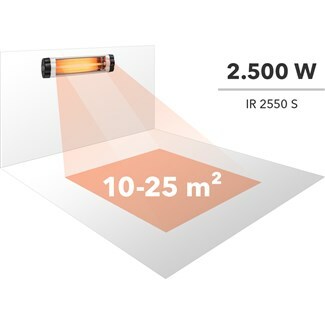 The IR 2550 S provides heat according to the natural principle of the sun. 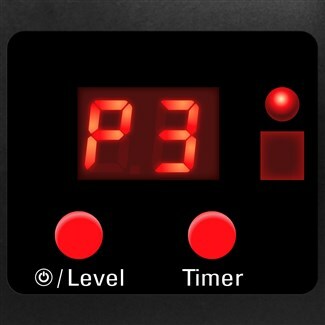 On the skin, the infrared rays immediately dissipate a pleasant feeling of warmth. 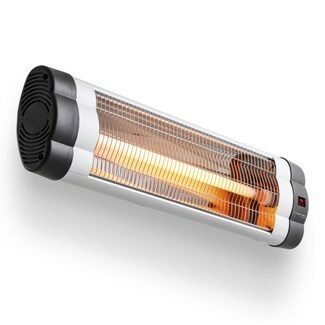 A large part of the energy used is directly converted into heat, which allows the quartz heater to be operated in a particularly energy-efficient manner in a direct comparison to a heating fan. Because the device also manages without a fan, it provides odourless and silent heat and, above all, does not whirl dust. This also qualifies the spotlight as a warming solution for allergy sufferers. Please note that the telescopic tripod shown on the product pictures is not included in the scope of supply!